When you’re young, you think you know everything. As you age you become unsure. As you grow old you become sure that you don’t know anything for certain. Worse, you see the folly in those that are sure of everything. As Sophocles said, “How terrible is wisdom when it brings no profit to the wise.” But wisdom is not necessarily about profit, it’s about understanding. Sometimes understanding can translate into profit, sometimes it translates into frustration as you watch those around you, even those you love, making the same mistakes you have already made. Wisdom is not the same as intelligence or knowledge. Lots of people are smart, few are wise. Wisdom is knowledge mixed with experience. It’s one thing to know something, it’s quite another to trust that knowledge. Wise people know what they know because they’ve put the knowledge into practice and seen the results first hand. They also know what they don’t know which is often more important than what you do know. Too many people confuse wisdom with one of my favorite words: serendipity. Serendipity is literally “a lucky accident” or “happy coincidence”. You see it in business all the time. Someone starts a business because he or she discovered an un-served niche in the economy. A niche is a small hole in the economy, a market or group of people that want something at a particular price, but can’t get it for some reason. Maybe they don’t even know they want it (who knew they needed underarm deodorant until they were told?) The new entrepreneur “steps in” to fill the void he’s discovered. Initially, because they have no competitors he/she makes a lot of money or what’s known in economic circles as “windfall profits”. Having no competition, they don’t have to be very efficient or work nearly as hard as businesses in established industries. Another one of my favorite words sets in hubris. Hubris is arrogance, conceit, pride, and egotism. The person begins to seriously believe he/she is wise because they have made so much money and advanced so quickly. But the market is truly wise. Very soon more experienced competitors see the “windfall” profits being earned by the new upstart and begin to offer competing products or services. The new upstart has a choice, he/she must sell out or get wise fast. As competition sets in, the upstart’s profit margins drop to what economists call “normal profits”. If the new entrepreneur wants to stay in business he/she must learn to be efficient. I often smile to myself when I see the media heap praise on some “wonder child” that achieves great financial success at an early age. Often these kids are extremely smart, very ambitious, and have copious amounts of youthful energy. But they are not wise, and usually, don’t want to take any advice from those that are. They’re egos explode. They are not just going to purvey a valuable product or service, they’re going to change the world! My favorite example of this was Steve Jobs. Jobs was brilliant, no question. But in his twenties, he was not wise. He, quite by accident, stumbled on a guy (another Steve), that had the ability to build a product that served a niche that no one else saw – computer hobbyists. Jobs and Woz sold a lot of Apple Is and IIs. Then Jobs’ ego got out of control. More experienced and wiser companies were content with incremental improvements. Jobs wanted to change the world and proceeded to convinced Apple to bet the company, first on the Lisa, then on the Macintosh – both radically new, “bleeding edge,” technologies. The results were wonderful computers that very few customers could afford and fewer still could write software for. When tech pundits wax on about Jobs’ genius, very few talk about his misadventure at NeXT. After the Lisa and Macintosh fiascos got him fired from Apple, he started a new company called NeXT. Never heard of a NeXT computer? Few have. 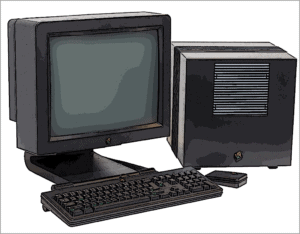 A NeXT workstation was a bleeding edge machine if ever there was one. Jobs was obsessive about every detail from the combustible magnesium enclosure to the super slow, read-write optical drive. He was insistent it be made in the US even though most competitors took advantage of low-cost manufacturing in the Asian rim. He told reporters he had a dream of sand entering one end of the factory and computers leaving the other. Jobs was extremely smart, but not, as yet, wise. In a way, Jobs starting NeXT was like Jesus going into the desert. Both went in untested and came out better for it, but unlike Jesus, Jobs took the Devils bait and gained his wisdom by making mistakes. NeXT quickly became a venture cash sinkhole. Major investors Cannon and Ross Perot were fearful of losing a bundle, something like two hundred million dollars. Jobs himself was invested to the tune of something like ten million and by 1990 things were looking very bleak. In 1993, NeXT stopped producing hardware completely and instead ported the NeXTSTEP operating system to Intel-based machines and focused on development tools. Steve Jobs found humility at NeXT. In his “lost interview” filmed by Robert Cringley in the final years of NeXT, Jobs is calm and reflective, exhibiting none of the brash bravado or cockiness of his early years at Apple. At NeXT, Jobs called all the shots and had no one to blame but himself for the “marketing missteps” that were sinking the company. NeXT computers were beautiful, magnificent monuments to technical prowess. But they were expensive. They used bleeding edge technologies that few companies were willing to pay for or gamble their enterprise on. By 1995, NeXT computer was looking more like a research project than a business and Jobs was humble and desperate, but much wiser. Buy this time, experience taught him what didn’t work. In one of the biggest ironies in business history, in 1996, Apple, driven now by Gil Amelio, bought NeXT Computer, primarily to get the source code for the NeXTSTEP operating system which would serve as the basis for the modern Macintosh OS X. Jobs rejoined Apple as an “advisor.” At the time, Apple wasn’t doing much better than NeXT. Tech pundits were circling Apple like vultures on a death watch. But the Jobs that re-entered Apple was a different man than the Jobs that founded Apple. The Jobs that returned was older and much wiser. He was a vastly better manager of resources and, more importantly, of people. His experience running NeXT transmuted him into a seasoned manager and a much wiser man. His subsequent turn-a-round of Apple is legendary. But what many miss, is that even though Jobs still held the spotlight, he was much more willing to share it. Jobs routinely invited others from Apple on stage to present and even recognized the product team members in the audience. This was very telling. Jobs was much wiser and co-workers were no longer afraid to ride the elevator with him.